As you can see, Bo has been passionate about dogs – and writing – for quite a long time. 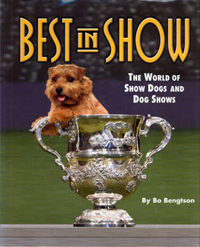 by Bo Bengtson (Kennel Club Books, USA), 2008. A 654-page volume with more than 500 illustrations. Critically lauded, winner of the IBPA Benjamin Franklin Award for Best Reference Book 2009, the APDW Arthur Frederick Jones Award 2008, and the DWAA Best General Reference Book 2008. Still available via Amazon.com, offering more information about the sport of dogs in an entertaining, readable manner than any other book. 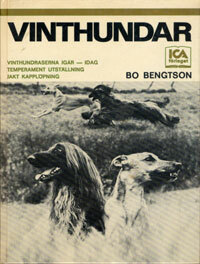 Descriptions and photos of over 300 breeds, published in different language editions 1973-1982. Sold over 500,000 copies worldwide, still occasionally available on the Internet. (IBP Publishing/David & Charles, Sweden/UK et al. ), by Bo Bengtson (text), Åke Wintzell (photos) & Ivan Swedrup (introduction).